We we sell many unique gifts for you to peruse during your visit. Items include personalized wine accessories, gift baskets, wine racks, home décor, gourmet foods and clothing. There are too many items to list! 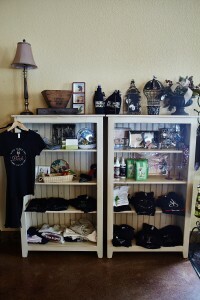 Items vary by season so stop by and enjoy our award-winning wines, friendly atmosphere and do a little shopping! !